Looking into the Future. - Arktos Developments Ltd. Looking into the Future. 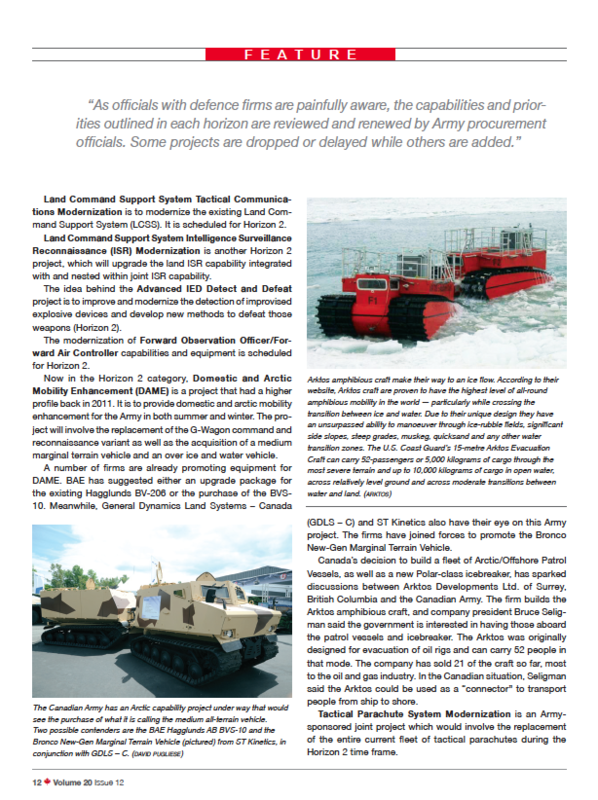 The Canadian Army & Royal Canadian Navy have several projects on the drawing board. Written by David Pugliese. Featured on page 12.